The Fireman’s Lot at Forest Hills Cemetery in Jamaica Plain provides a burial place for deceased members of the Boston Fire Department. The lot was purchased in 1857 by the Charitable Association of the Boston Fire Department (founded in 1828). Memorial services are held there every year on the second Sunday in June. 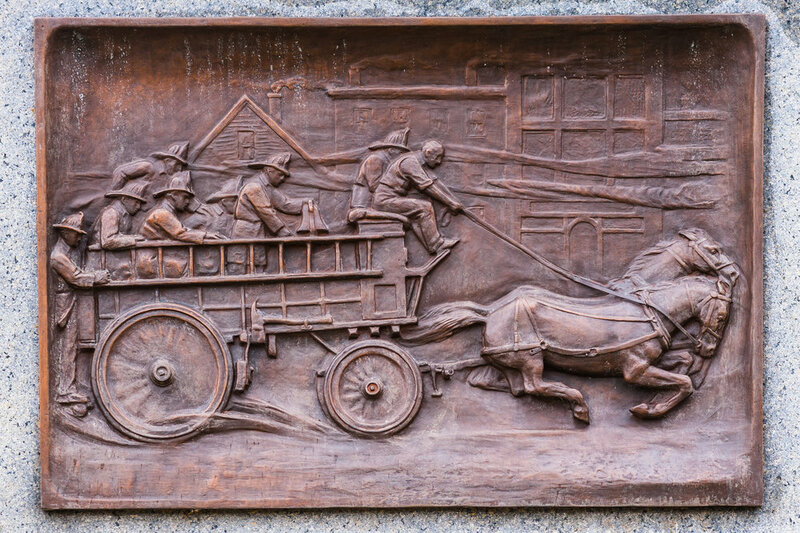 The monument at the center of the lot was built in 1909 and is believed to be modeled on a firefighter named Cosgrove.